Dark ruby garnet color. Spicy, inviting aromas of amarena cherry preserves, coriander seeds, oolong tea, musk, chocolate covered peanuts, and bergamot with a satiny, vibrant, dryish medium body and a smooth, charming, medium-length ripe plums, peppercorn sauce, dried rose petals, and dill cornichons finish with well-integrated, medium tannins and moderate oak flavor. An alluring old-school styled Valpolicella fit for excellent meals. Bottom Line: An alluring old-school styled Valpolicella fit for excellent meals. Valpolicella is a red wine produced from the eponymous district near the town of Verona in Italy's Veneto region. It is a blended red made with at least two grapes - Corvina and Rondinella - although it may be made from several more grapes such as Molinara, Corvinone and Dindarella. Valpolicella tends to have moderate tannins, so it can be consumed at a fairly young age. It also has good acidity, meaning it can age; while some lighter examples of Valpolicella peak at five years of age, a well made Valpolicella can drink well after a decade or more. Along with red cherry and plum fruit, a typical Valpolicella has a pleasant spicy quality with notes of cumin, cedar and cinnamon. Pair these wines with hearty preparations, including game birds, stews and roasts. 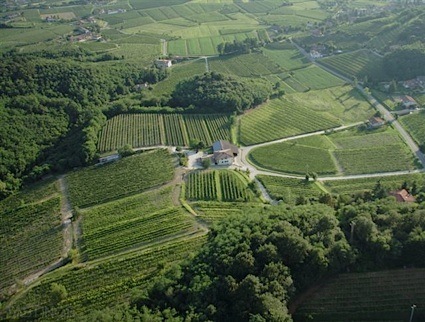 The Valpolicella name is also used for two other wines from this district, both made with the same red grapes. One is Amarone della Valpolicella, a powerful red wine made from naturally dried grapes; this wine can age for three of four decades in the best instances. The other is a luscious sweet wine called Ripasso della Valpolicella, also made from dried grapes, but with fermentation halted to retain some degree of residual sugar. 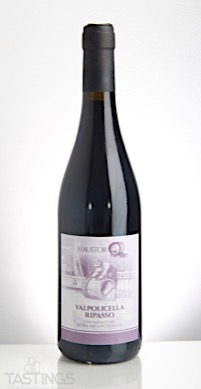 Haustor 2016 Valpolicella Ripasso DOC rating was calculated by tastings.com to be 92 points out of 100 on 4/6/2018. Please note that MSRP may have changed since the date of our review.